Clean Rooms for Pharmaceutical, Electronics Manufacturing, Trace Metal Research - Labworks International Inc.
Labworks International delivers clean room solutions across the United States and Canada. Professionally engineered and installed, our solutions leverage high quality modular wall systems by leading providers, customized air delivery and filtration systems, as well as all necessary equipment to effectively fit out your clean room space. Labworks guarantees the performance of our rooms and will provide complete independent certification as part of our solution. 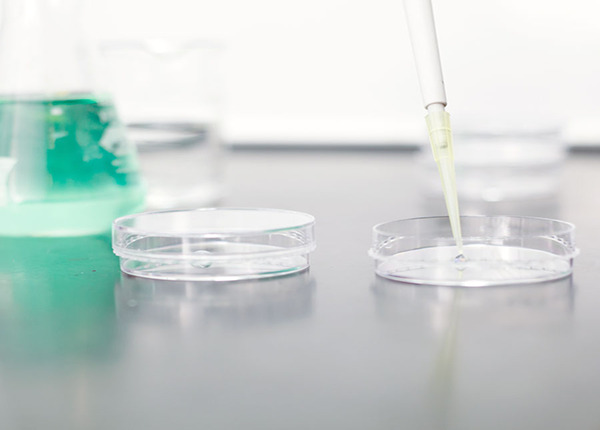 Our solutions are specially designed to meet the requirements of Bio-Pharma research. The modular Honeycomb Aluminum wall system can be used in new stand-alone applications, or for retrofitting (with liner options available). Panels feature a specialized uPVC coating with anti-microbial treatment which is suitable for most cleaners used in this application. All designs conform to ISO standard 14644:2015 and are delivered by Labworks team of professional project managers. Validated Clean Rooms are our specialty. Stringent requirements on cleanliness combined with strict temperature performance make proper engineering a critical factor with GMP grade clean rooms. Our designers ensure temperature and particle performance compliant with the regulations for the designated grade of clean room. A variety of panel surface coatings are available to suit the process requirements of the area. 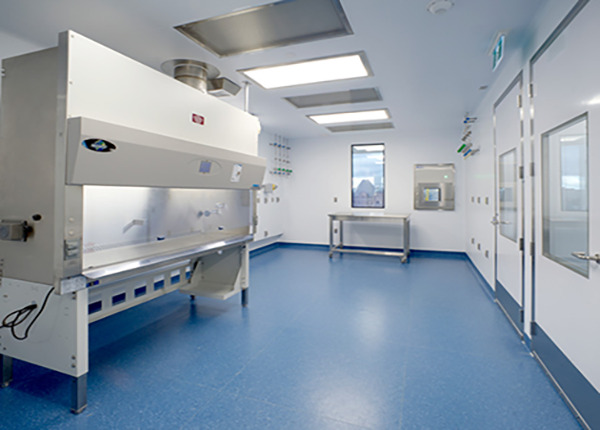 Labworks provides turn-key USP 797 compliant pharmacy clean rooms. These are clean rooms that typically need to meet ISO7 standards, incorporate anterooms, and provide both ventilation and make up air for exhaust hoods. 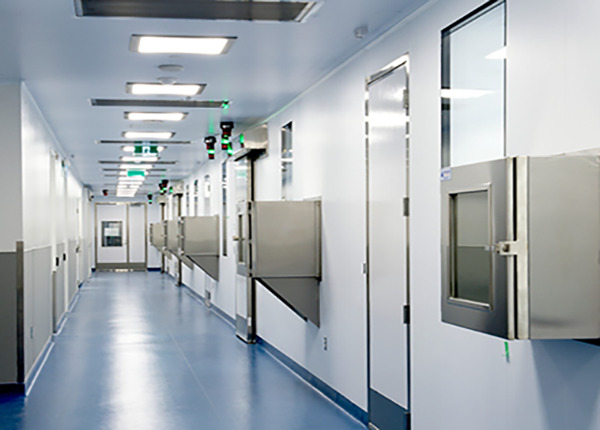 Labworks' USP 797 installations are complete solutions including our modular clean room panels, dedicated HVAC equipment, casework, benching and fume hoods. 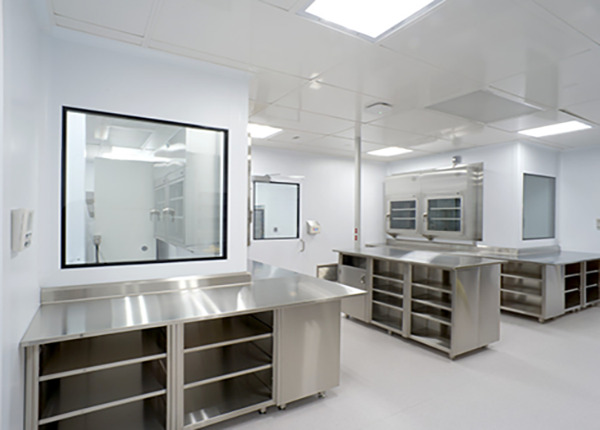 Our clean room designs focus on quality and user functionality, while ensuring long lifespan and ease of service. Labworks International's semiconductor system features a progressive modular wall design specifically built for the electronics manufacturing industry. Panels are of an aluminum honeycomb construction with a dissipative coating. Labworks provides a complete product including ceiling solutions, HVAC and filtration, as well as flooring and interior fit out as required. 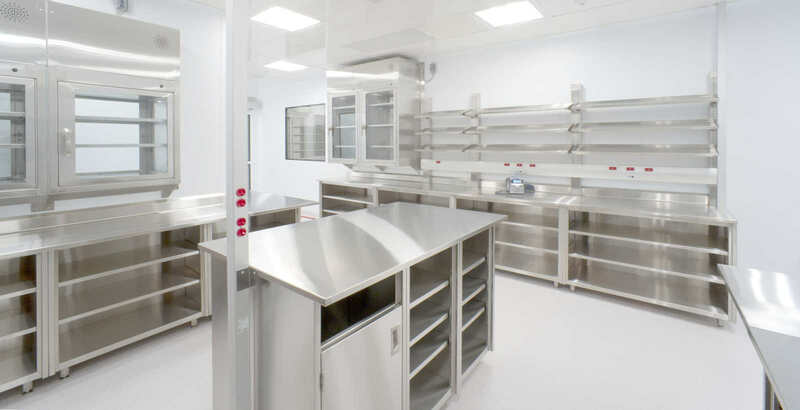 Trace metal clean rooms have unique requirements, combining the demanding specifications for clean room classification with the need to eliminate the exposure of metal in the space. Labworks utilizes a wall solution featuring two high pressure laminate plastic skins eliminating all exposure to metal. Components utilize plastic in place of metal where possible. A variety of finish coatings are available to meet your requirements.